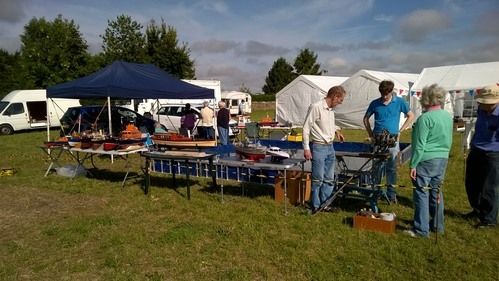 It was my first time to show my, still unfinished boat, but with the support of the club members all went well. 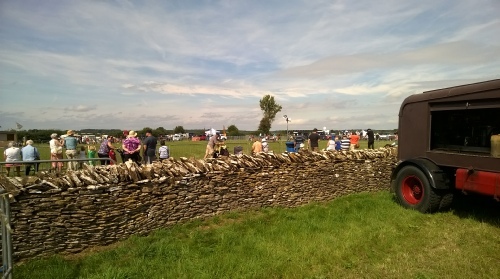 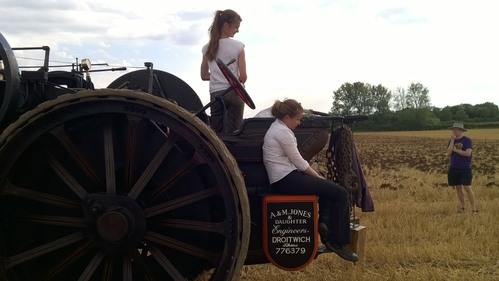 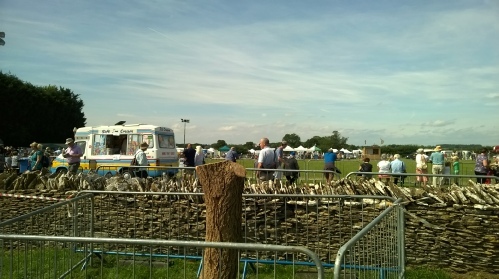 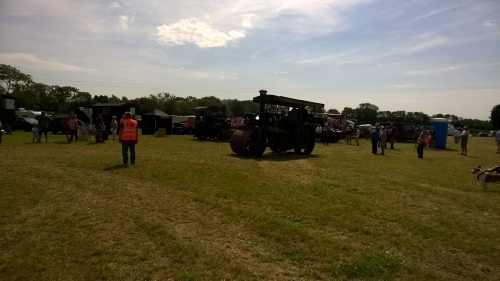 It was a great show over 4 very large fields with all sorts of displays, Bikes, Cars, Tractors, Steam engines, Traction engines and even a ploughing competition & Falconry display. 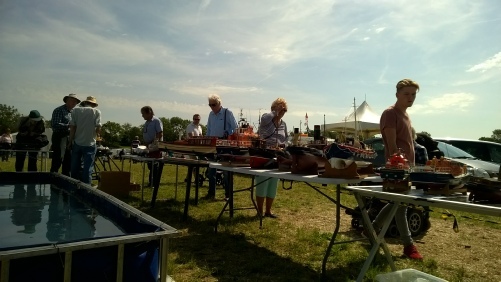 The quality of the boats displayed was fantastic, we had a musical shark fishing boat from Colin, also speed boats, a static engine, and even a Train, all expertly made, also thank you to Brian from bringing 5 of his very large collection of scratch built boats, a superb display. 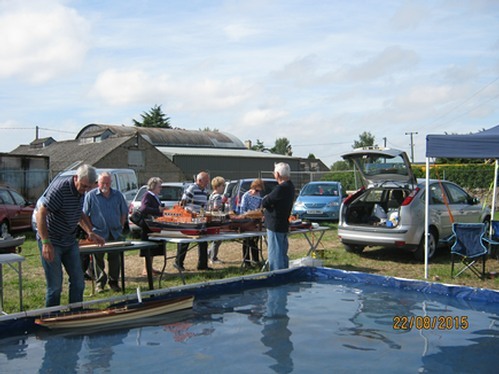 I think we must also thank Dooreen Freegard for bringing Brian's boats. 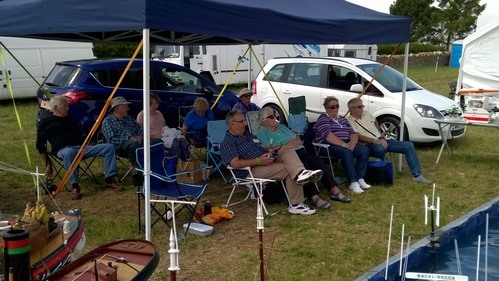 It must have been one of the hottest days of the year with temperatures up to 28 deg, but as usual club members where very well organised with a large gazebo for us all to get some shade. 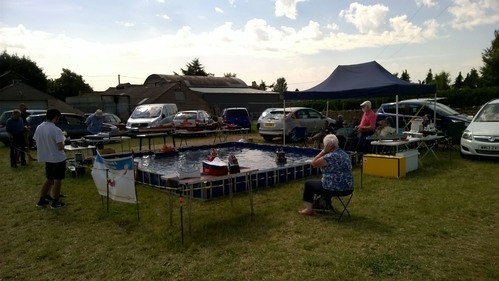 A great deal of thanks must also go to all the volunteers that erected the gazebo and the pond and helped with the transportation. 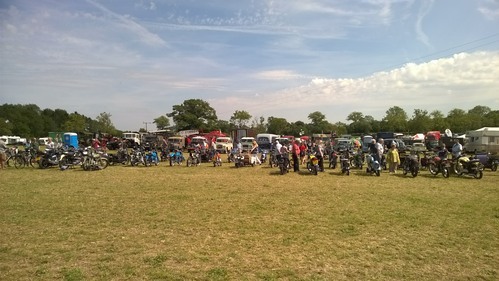 I’m sorry I can’t name you all but you know who you are and please except a big thank you from us all. 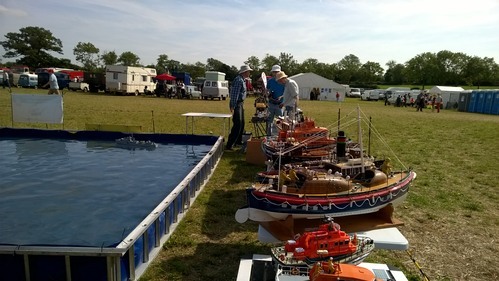 If you have a boat or engineering project then why not display it, the club needs support form all walks of modellers. 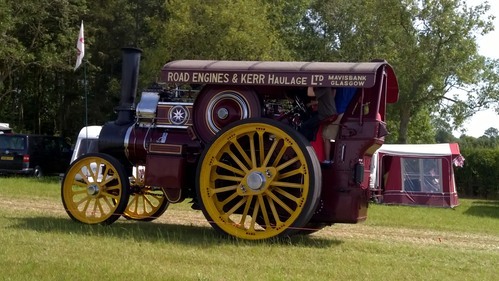 Foot Note for Sunday 23rd from our Secretary Colin Maxfield. 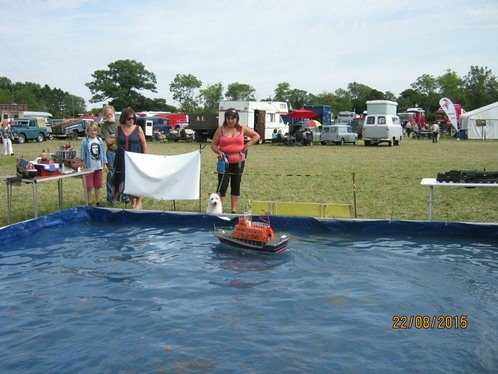 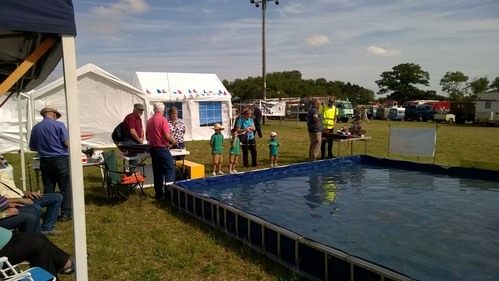 This was a wash out and the Show was closed around midday due to flooding and the pool and gazebo where left on site. 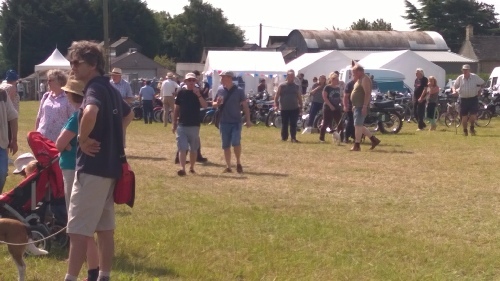 I managed to get a few members to meet at Fairford at 11.0 am on the Monday they were John & Margaret Brown, Brian Mortimer, Nick & Pauline Foggin, John Gaynord, & myself & Jean Maxfield. 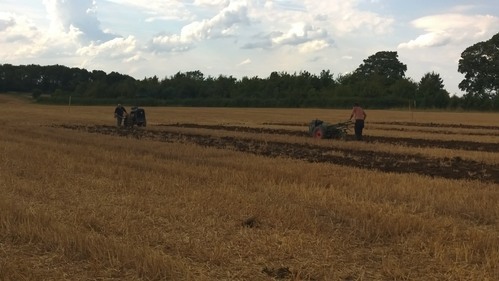 we completed the job in a very muddy field, every one worked hard and we just finished before the rain came down. 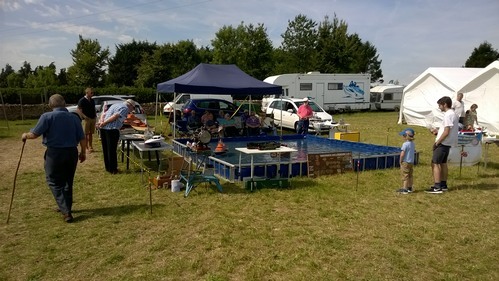 A big Thank you to Margaret who kindly handed out coffee and biscuits.